2012 release. 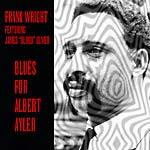 ESP-Disk is now releasing Frank Wright's tribute concert to tenor saxophonist Albert Ayler titled Blues For Albert Ayler in a 6 part suite. This high energy performance was recorded live at Rashied Ali's club 'Ali's Alley' on July 17th, 1974. This is the Right Reverend Frank Wright, live and raw, in his element, with a most impressive band. Frank Wright plays tenor sax and bass clarinet, with an electrifying performance from guitarist James 'Blood' Ulmer, bassist Benny Wilson and drummer Rashied Ali. 2012 repress, first reissued in 2000. Reissue of a rare album from the Swedish improvisation underground, first released in 1975 on the LIM (Live Improvised Music) label (with three bonus tracks added, recorded in 1977). Brought to our current attention by contemporary Swedish improvisor Mats Gustafsson. The Mount Everest Trio is: Gilbert Holmström (alto, tenor sax), Kjell Jansson (bass) & Conny Sjökvist (drums). 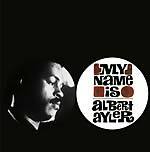 "I first came into contact with the music of Gilbert Holmström through Waves From Albert Ayler, and in my personal universe this record still holds its place as one of the strongest examples of creative music ever to be made in good old Sweden. I think that Mount Everest creates a very positive, beautiful, living improvised music, vibrating with total dedication and great spirit." -- Mats Gustafsson, Gustavsberg.